Let’s talk about using neutral colours in home decor – and why it’s such a great idea! As a professional interior designer for over 10 years, I have designed a LOT of rooms, seen a lot of different styles, and pleased a lot of tastes – but I always start with a neutral base, whatever I am working on. Why? well, simply put – it works – and this post explains why neutral is perfect for home decor, whatever room you are designing. 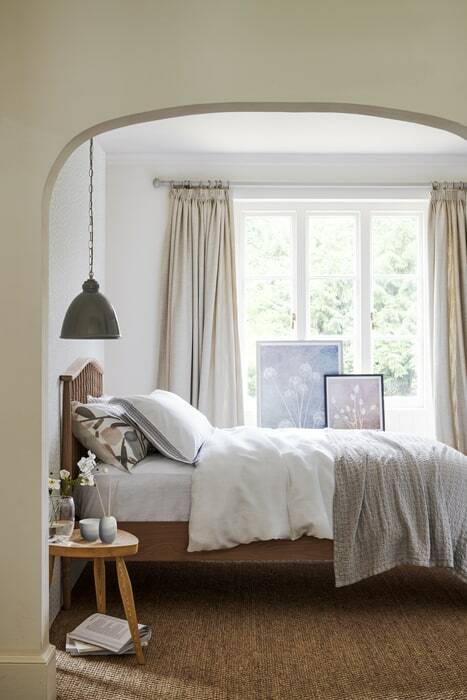 This post has been written in collaboration with John Lewis and their Croft Collection which is a great example of how neutral works so well for home decor. As always, all words and opinions are my own, and I only ever work with products and brands that I truly love. For more information about the croft collection, please CLICK HERE** (Affiliate link). I am a HUGE advocate of using neutral colours for home decor, so today I wanted to look at why this is such a great idea, how you can use it in your own home, and why it definitely doesn’t have to be boring! I’ve used some examples from the John Lewis Croft Collection to help show what I mean. I hope that this helps! 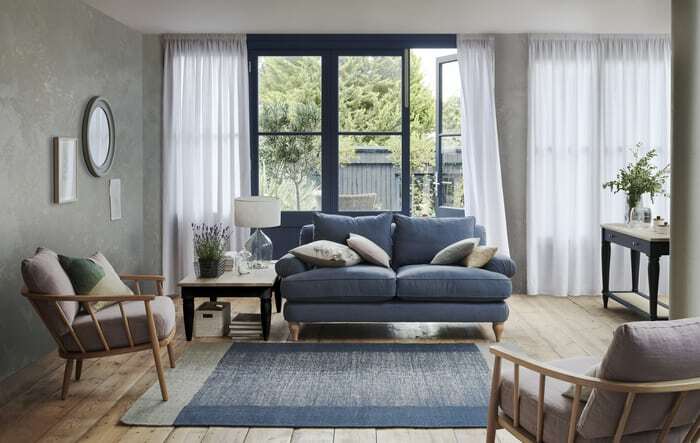 By the way – the Croft collection range is exclusive to John Lewis and includes a host of modern classics, including a beautiful collection of undyed wool rugs, soft furnishings in hand painted water colour prints and a striking recycled glassware collection. Colour accents and muted prints add character to the collection, which is completed by new additions across furniture, lighting, kitchenware, home accessories and outdoor living. There’s something for every home in this collection, and I’m excited to show you! Contrary to popular belief, neutrals are most definitely NOT boring or bland – not if they are used well. In fact, you can get such a lot of different colours that work as neutrals that you can totally get a sense of your own style and home while decorating with them. When you then mix these neutral colour choices with different textures, styles, shades and layering etc…, you have literally unlimited possibilities. In fact – I don’t think any home that used neutral colours in this way would look exactly like another one, and definitely not bland! – it’s how they’re used that counts. Easdale Side table – this is a stunning table that would work so well as a neutral base for a living room, even though it’s actually blue in colour. The blue is muted and shows how colour can still work as a neutral really well. It adds real interest and would work in many colour schemes and home styles. Modal Mix Rib Towels (affiliate link)** – These towels are so gorgeous! They are purely neutrals (grey and white), but have loads of texture and pattern that make them stand out as unique and different. Let’s face it. It’s expensive to redesign a room or a whole house – and that’s because most things will need to be changed. Most of us don’t have a huge pot of money to spend each time we want to update a room, but it’s always nice to refresh things every so often – and so it makes sense to be careful as much as possible with what you spend your money on. As such, creating a room that has a neutral base for the more expensive parts means that these will not need changing as often and so saves a LOT of money over time. The secret is to keep the walls, flooring and main pieces of furniture as neutral as possible, and then add in colours with the more cost effective items so they can be changed more often. This way, you can spend a little more on the neutral items if you like, because overall they will need updating/changing a lot less frequently. If you have a base of neutrals, then you can add in pops of colour and accent pieces much more easily. In a living room there’s a neutral coloured sofa, pale oak wooden floors and wooden blinds at the windows. All furniture is oak. This is a gorgeous look in itself, but can easily be added to with a few cushions in different colours and patterns, a chunky throw, some foliage and a rug. Some artwork in the same colour scheme finishes things off nicely. After a few years you may want to change the scheme. To make a huge change though, the only things that you need to update to create a whole new look and feel will be the cushions, throws, rug and artwork. Perfect! The neutral colours have become the perfect base for the rest of the design, and actually showcase the colour scheme much more effectively, and you could choose a muted colour scheme, a brighter scheme, or something in between – the options are endless! I love using neutrals in both modern homes AND very traditional ones. In fact, there’s a perfect neutral colour scheme for all tastes, and they go out of fashion a lot less often than colours (if ever!). You can move items around your home for fresh new looks without worry that things don’t work in a different room. If the main neutral colour is the same throughout the house, then it really can be a mix and match situation! You can move home and most neutral items will work whatever home you move to, so less money on having to spend again to create a look that works. #5 – NEUTRALS WORK TOGETHER WELL, SO YOU CAN ALWAYS COLLECT AND MATCH THEM UP EASILY. One of my favourite ways of making neutral colours unique to you and your style is to mix and match items together. Because neutrals are always available, you can add to collections easily. I’ve talked before about why I love using white in a design scheme, and how I love using white bedding specifically, but one area that I have talked less about is that I love using neutrals in my kitchen. I have a HUGE collection of various white dishes and plates in all different styles, textures and shapes. They aren’t a set, as I’ve collected them over the years, but because they have their colour in common, and are neutral, they come together really well and it always makes the food look great. The Croft Collection Ramekins (affiliate link)** are on my shopping list to add to this white collection – with a little touch of beige and some pattern as well they’ll work perfectly!. So, have I tempted you to use neutrals more in your home rather than going straight for the colour? Remember, a neutral colour scheme doesn’t have to be dull, you can use neutrals as a great base for any home design, they will fit with any home, they can be collected over time to make a truly unique style, and most importantly – once you have a neutral base it’s a great canvas for adding in colours and personality (and changing colour schemes really easily). Neutrals are truly your best friend when it comes to home decor, and I totally love them! In fact, there’s very little colour other than neutrals in my own home – and I don’t think it looks boring or lack personality in any way. I’d love to know what you think about using colour or neutrals. Do you like loads of colour on every surface, or do you prefer a neutral background? Leave a comment below and let me know. This post was written in collaboration with John Lewis and their Croft Collection. As always, all words and opinion is my own. If you’d like to find out more about this collection then please see below, or CLICK HERE (affiliate link)** to be taken to the range.